The Dallas Zoo has deep roots in the preservation of the okapi species – roots that far exceed North America. They’re growing steadfastly into Europe, where our renowned breeding program is ensuring the survival of these stunning, mysterious animals from the Congo. 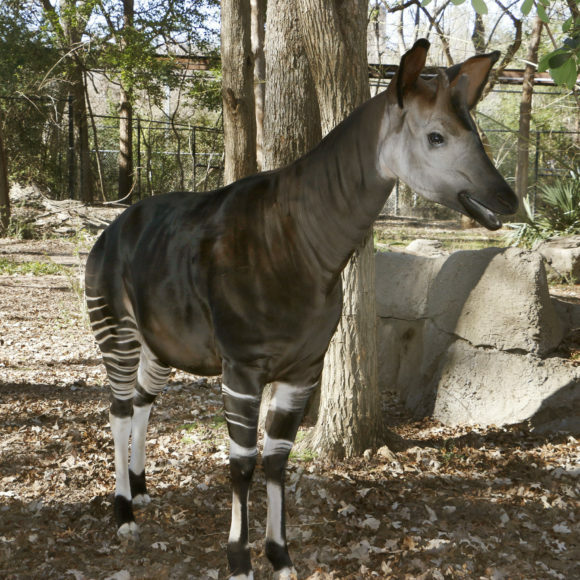 And on the first-ever World Okapi Day, we’re sharing our pivotal story to make sure these horse-shaped, zebra-stripe-wearing, giraffe-head-resembling animals never disappear from Earth. 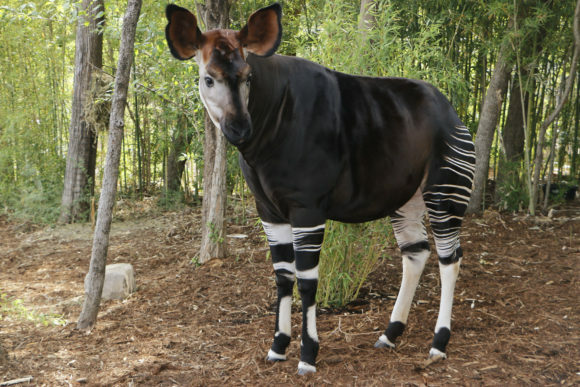 First discovered in 1901 by a British explorer, okapis were incredibly elusive in the wild, earning them the nickname “African unicorn.” The naturally solitary creatures were, and still are, experts at traveling unnoticed in the dense rain forests. But today, their numbers have drastically dropped. Fewer than 15,000 remain in the Congo, and that’s a generous estimation. Their numbers have fallen by 50 percent in the past 15 years due to illegal poaching, logging and human encroachment. 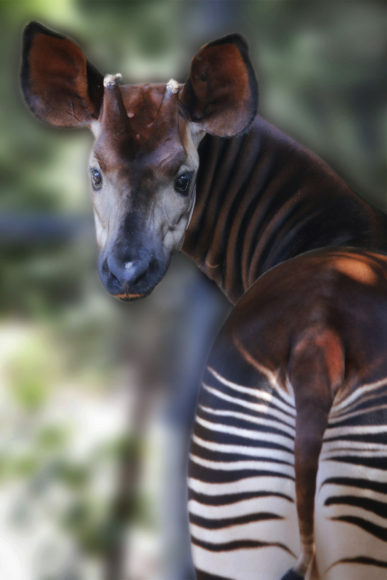 It wasn’t until the late 1930s that okapi made their way to the U.S. And accredited zoos have learned new information daily about these extraordinary animals ever since. 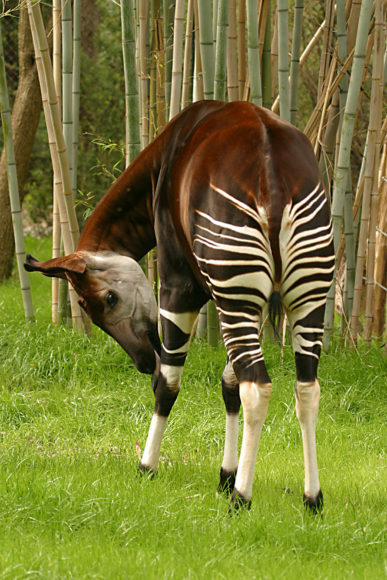 The 1980s proved to be a big decade for okapi breakthroughs. 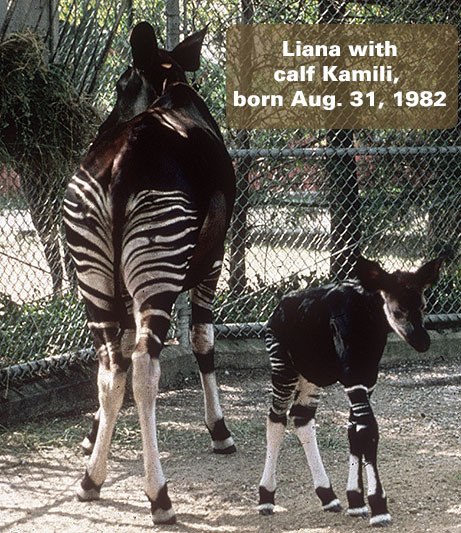 In 1982, only 16 okapi lived in U.S. zoos, and seven of those called Dallas Zoo home. 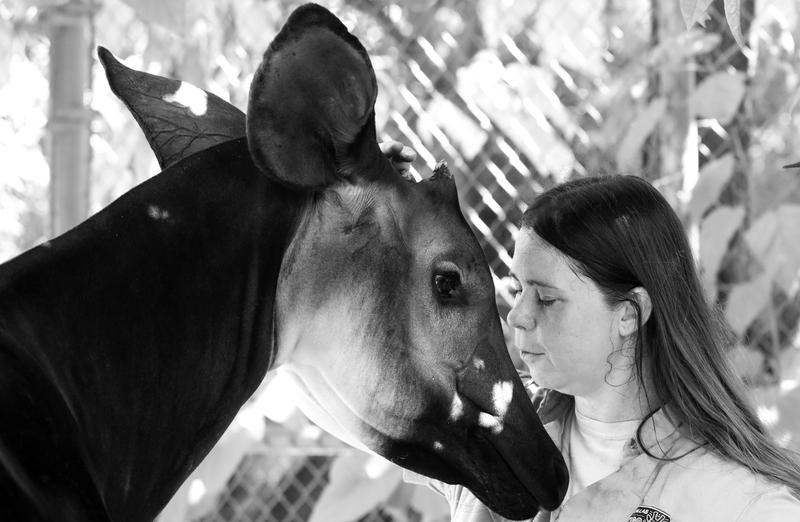 With a stable population, our staffers spearheaded okapi research and wrote the standards for okapi behavior, including research on infrasound communications, vocalizations heard below the range of human hearing; behavioral indicators of estrus and pregnancy; and relationship and physiological norms for mothers and calves. 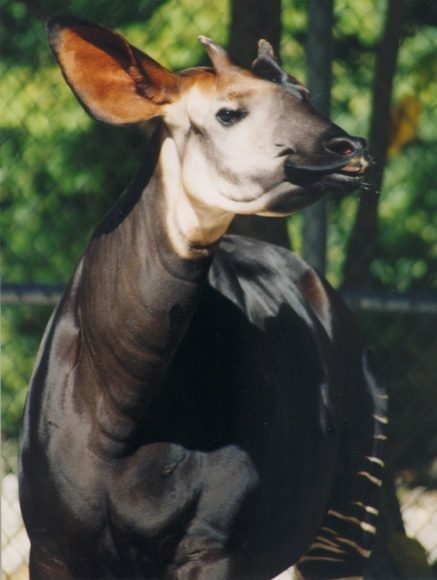 Published in 1999, The Okapi: Mysterious Animal of Congo-Zaire, is still the only book of its kind on okapi in English. 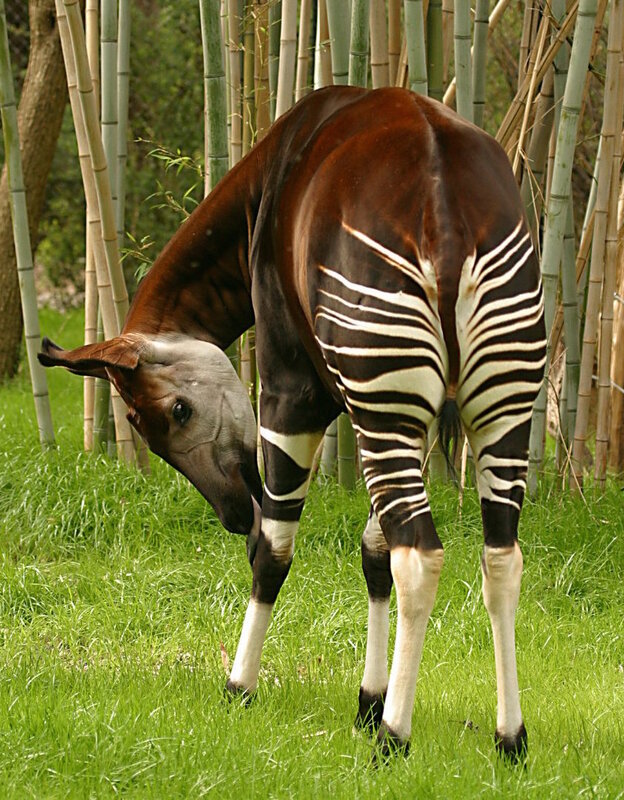 This material allowed zoos across the world to successfully reproduce okapi. Before arriving in Zurich, the okapi underwent 3 inspections, 6 trips on various forklifts, an 8-hour flight, and 2 road trips. 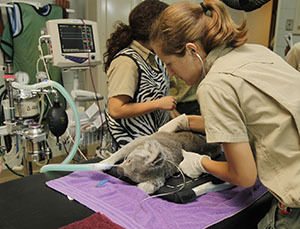 Lumpkin was with Ann and Imba every minute of the 30-hour journey. In the Dallas Zoo’s 50-year history of caring for endangered okapi, we’ve welcomed 36 calves. About 75 percent of all okapi in the Association of Zoos & Aquariums’ Okapi Species Survival Plan (SSP) are related to Dallas Zoo offspring. 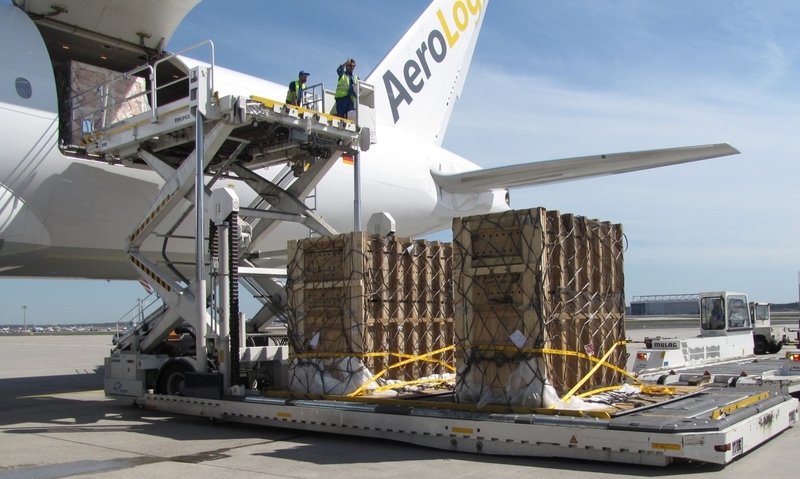 Jump to spring 2013, when we made a move that hadn’t been done in more than 20 years – after three years of coordination, we flew two of our majestic okapi to Europe. 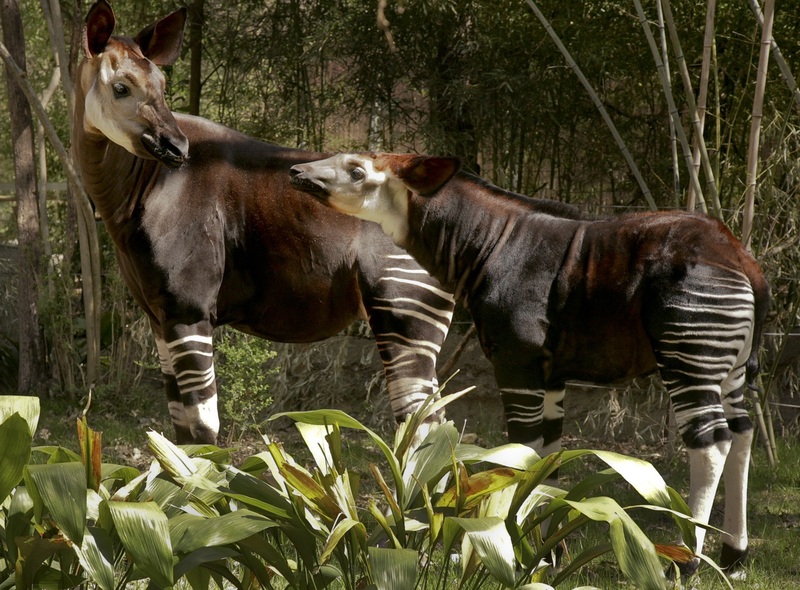 Our okapis’ bloodlines were needed to improve and protect their lineage in zoos overseas, so the SSP and the European Endangered Species Programme (EEP) partnered to diversify the okapi gene pool. We sent okapis Ann and Imba on a cargo plane to Zurich, Switzerland, along with their dedicated keeper Megan Lumpkin, an okapi behavior expert. 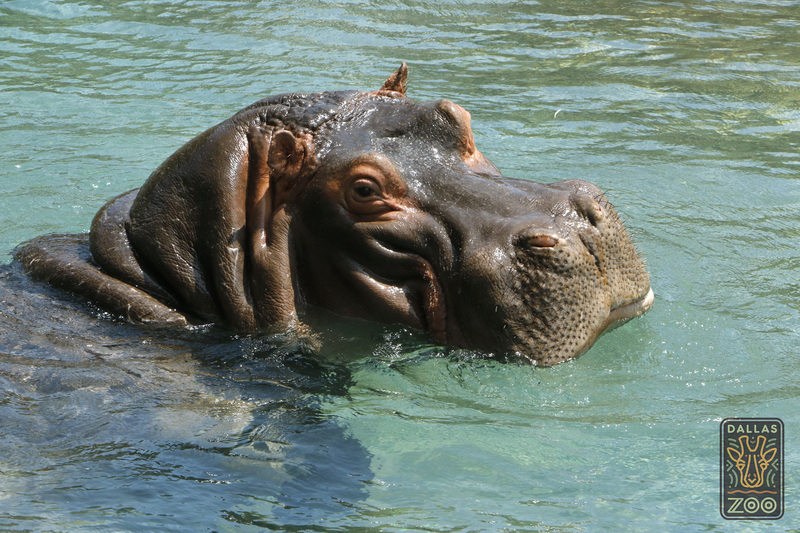 Ann now resides at the Zooparc de Beauval in France, while male Imba lives at Zoo Basel in Switzerland. 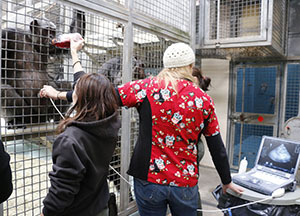 Assistant Supervisor, Megan Lumpkin, shares a special moment with 19-year-old male Niko. The first okapi calf born out of the Dallas Zoo and EEP partnership was just welcomed Oct. 1 to father Imba. This is also the first okapi baby for Zoo Basel in 11 years. The grandson of our male Niko and female Kwanini, Imba’s doing exactly what his endangered species needs. Lumpkin says that despite the language barrier, she and Imba’s lead keeper exchange emails frequently, and the baby photos make the memories of that 30-hour journey worthwhile. 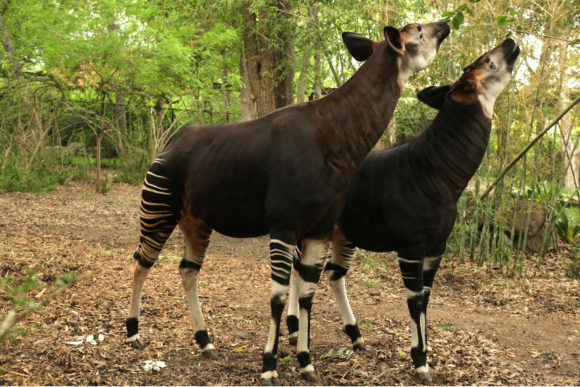 Although okapi experts say numbers in human care still need to grow, about 170 okapi now live in zoos across the globe, with 96 in U.S. AZA-accredited facilities and 67 in European zoos. WATCH this throwback footage of baby Almasi, our last calf born Aug. 14, 2013.